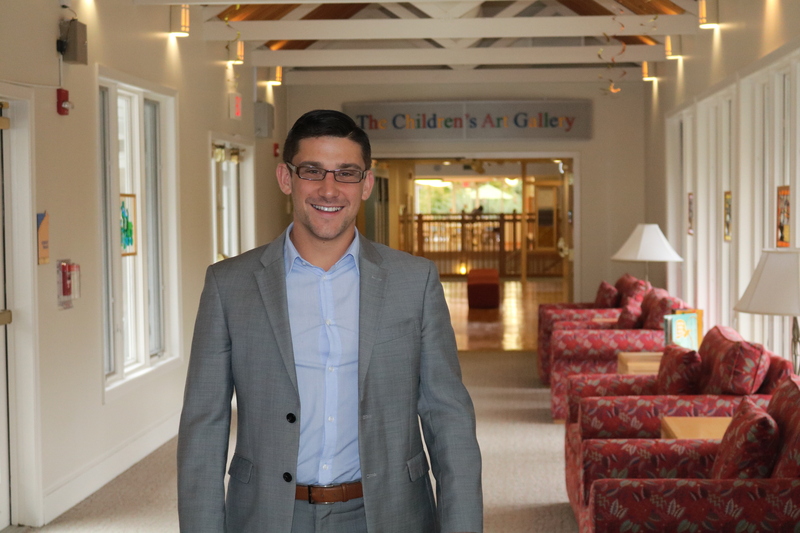 The Children’s Inn at NIH announces that longtime Inn resident Scott Vogel has joined its Board of Directors. BETHESDA, Maryland (October 14, 2016) – Scott has been a patient at the National Institute of Allergy and Infectious Diseases at the National Institutes of Health (NIH) since he was an infant. In the last two-plus decades, he has spent over 250 nights at The Inn with his family, and is the first Inn Board member to have visited throughout his childhood. “As someone who has stayed at The Inn many times over the years, Scott brings a wealth of Inn history and experience with him. Our Board is honored to be able to benefit from a resident’s perspective as The Inn moves forward,” says Jennie Lucca, CEO of The Children’s Inn. Scott is in the process of becoming the proprietor of a restaurant and piano bar in Maine called The Front Porch. He formerly was a Sales Director for PatientPop, an Athena backed marketing software solution for healthcare providers. He also brings sales and management experience gained while working for the Maine Red Claws, a Boston Celtics affiliate in the NBA Development League in Portland, Maine. Scott received his Bachelor of Science in Business Management from the University of Southern Maine where he also served as a volunteer for the Maine Children’s Cancer Program. He lives in Brooklyn, NY, and still travels to the NIH in Bethesda for treatment. The Children’s Inn at NIH is a private, nonprofit “Place Like Home” for children and their families participating in pediatric research at the Clinical Center of the world-renowned National Institutes of Health. The Inn reduces the burden of illness through therapeutic, educational and recreational programming – all at no cost to the families. Since opening in 1990, nearly 12,500 families from across the world have considered The Inn their home. As a partner in discovery and care with the NIH, The Inn strives for the day when no family endures the heartbreak of a seriously ill child.